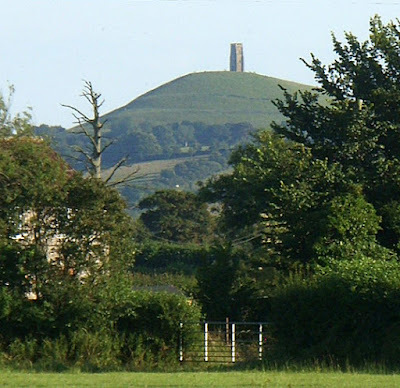 Norman Andrews, who lives in Glastonbury, sent me this picture of the tor taken by his son. He said: "We were out for a walk this evening and my Son Wayne took this pic, a few fields from where we live, hope you like it." What a lovely view - one of my favourites. Thanks very much to Norman and Wayne for sending it in and letting me share it on the blog. Did visit the Chalice Well. So beautiful!